Additional Info: There are Multi lane slides, Bubble pool, Climbing Wall with Water Wakers, Aqua Jets, Aqua Gliding and Turbo Glideing, Absailing and Zip Wire, all these at a little Extra cost, There is also the ever popular Mash and Barrel, (with WiFi available) Lounge-Bar-Cafe, with the Live Lounge for your evening entertainment, Traditional Fish & Chip Shop & Papa Johns Pizza with delivery available, Spar Convenience and Gift Store, Hairdressing Salon, Hire and Photo Shop, and much more. Spent a lovely week (once again!) in Vince and Jean’s caravan. The caravan is home from home and situated right next to the beach. It’s a very spacious van and very clean and tidy. I have stayed in this caravan every August for the last five years and we love it and wouldn’t hesitate to recommend it! 5 stars all round from us as always! Just back from a weeks stay. Caravan had everything we needed and more! It's the little extras that make all the difference. Especially grateful for the beach supplies. Would totally recommend this to anyone. This caravan was spotless. It was in a great position close to the beach. Vince and Jean had thought of and provided everything you are likely to need when staying in their caravan, including soap, tea bags and games for children. They also provided deckchairs and wind breaks for the beach, and even an umbrella. 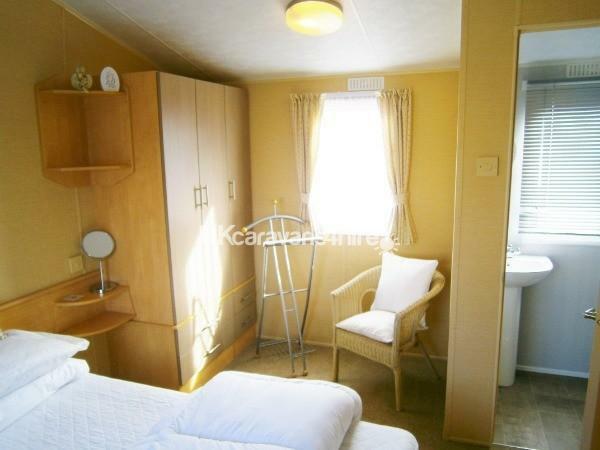 There was also plenty of storage, with two wardrobes in the main bedroom, and a very useful en-suite. Thank you again for a great week in a lovely caravan. 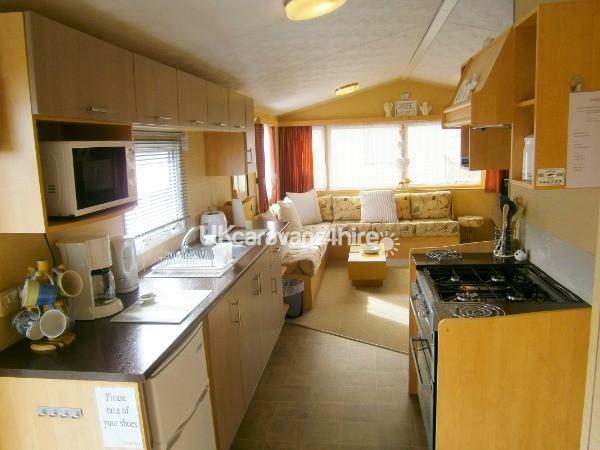 Very nice caravan to stay in, had everything you could need for a weeks stay. Very close the the beach. Was met by Vince on arrival. Communication prior to the arrival was great, answering any questions we had. Good sized caravan for its price. Would use again. The caravan was lovely . Thank you for all the little items you left for us .It was extremely clean and well looked after .Would recommend it to anyone looking for a lovely place to stay. Three of us stayed here for the week, two adults and one 6 year old. 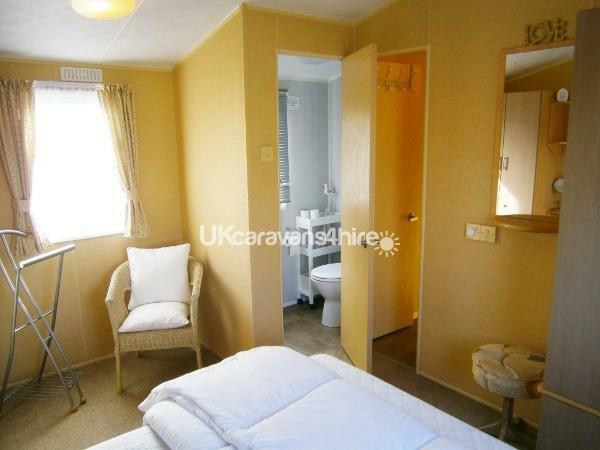 We found the caravan to be spotlessly clean and contained literally everything you could need. Everything was there, from bin bags to buckets and spades - this saved us a fortune in bits and bobs that we would have otherwise ended up buying! 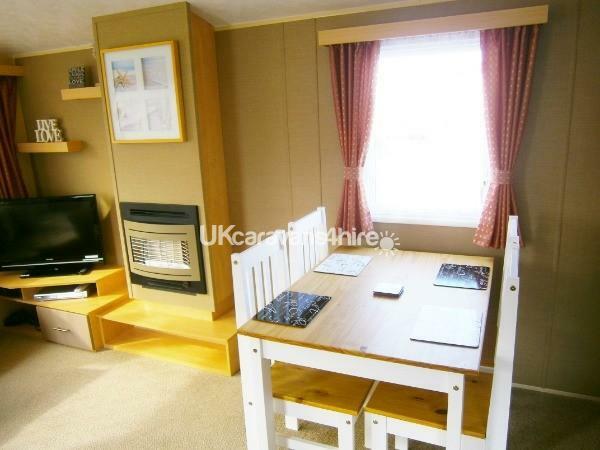 Vince and Jean's caravan was hands down the best value acommodation we found at Caister for half term week, this price made it possible for us to take our son on holiday for the week. 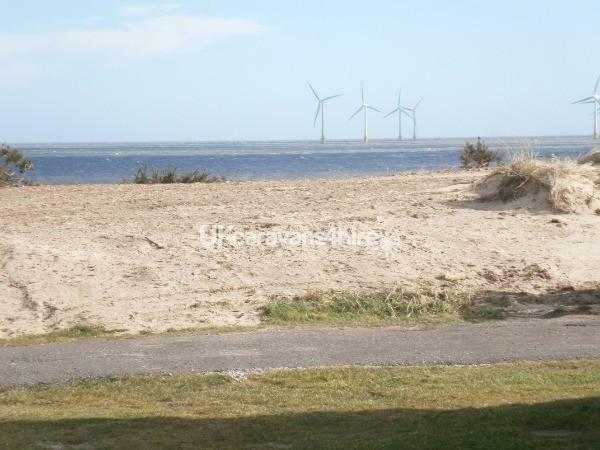 We had a brilliant holiday, the caravan is right by the beach on a really quiet area of the park. Thoroughly recommend and hoping to return next year. We was welcomed by vince the owner. The caravan was clean and tidy. There was everything you need to start our holiday right from coffee milk sugar loo roll down to a easter egg. The caravan is a stones throw away from beach. We would highly recomend the caravan. A big thank you to vince. We had a fantastic holiday at this park, and the owners greeted you upon arrival, so lovely to meet them. Very friendly, and above all expectations there was everything you need to get you going before you go shopping, tea, coffee, milk, mineral water, cleaning products. This was a godsend. Even a nice size tv and an Xbox to boot and a few games. The master bedroom was a lovely size no tripping over the bed to get in, which was comfortable, and plenty of wardrobe space on two walls. We are so impressed that were looking into coming back next year!. Lots to do on the park and we didn't buy passes to use pool or entertainment s we found plenty to do. Two mins walk to the beach as well. Loved it. Thank you to the owners. Highly recommend it. The price for six weeks school holiday was fantastic within my price range to have a lovely holiday. I cannot fault anything. We had a lovely time. 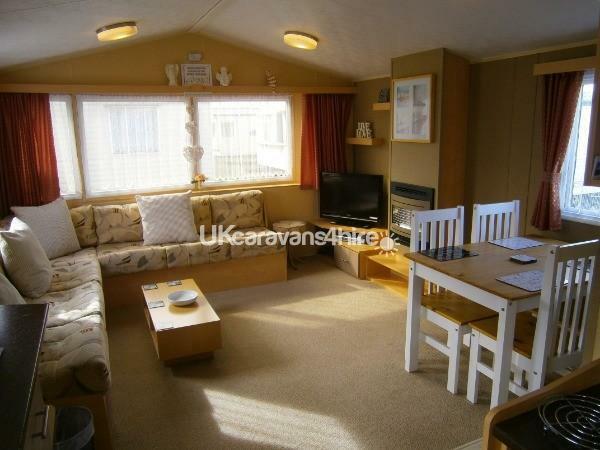 The caravan is immaculate, spacious and perfectly located a stones throw from the beach. The owners were fabulous. Thank you for a wonderful holiday. Highly recommended. What a wonderful caravan this is, everything you need and then some. Forgotten something? It's a safe bet that Vince and Jean haven't. I've not stayed in such a well equipped caravan. Tea, coffee, shampoo, cleaning products, games, books, dvds, you name it and it's on hand already. We had a lovely week and would happily recommend the caravan. Found this little gem on a internet search and I'm so pleased I did. Fabulous location near the beach. spotlessly clean. Everything you need is there. Vince and Jean are lovely and helpful. Communication from them prior to and after booking was really good. Thank you for making our holiday a very relaxing one. Would recommend this caravan to enyone had another great week staying there plus all the extras you could wish for also nice to be greeted by Vince and made very welcome on your arravial John & Jackie. The booking was easy and straight forward,Vince was friendly when we met at the van, it was spotless, and the facilities was excellent,The caravan is in a good position near the beach ,I would recommend this caravan to my family and friends and hopefully book again in the near future. 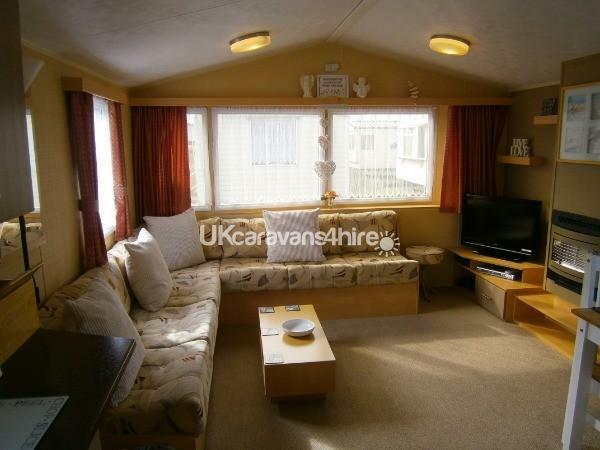 Excellent caravan very close to the beach. Well equipped, the owners had thought of everything. Very clean. The main bedroom was surprisingly spacious. The XBox was very popular with our son (and me!). Just returned from a lovely break away at Caister Holiday park, the caravan was perfect, home from home, the photos dont do it justice!! booking went very smoothly and it was nice to be met by Vince when we arrived and shown around the caravan. Hopefully we will return, thanks again and would recommend definately! Stayed for a week in middle of Aug. Was an absolute pleasure to deal with the owners, Vince and Jean. From initial contact to booking, was very easy and completed fast with lots of information provided. Caravan itself was home from home and immaculate. We loved every aspect of it, very modern. The main bedroom was very large, ample storage and, with its own en-suite was an absolute godsend, especially staying with two teenage girls who just hogged the main bathroom mirror!! Main bathroom shower was powerful and water as hot as you desired! Situated near the beach was also great. We had an amazing time and really do look forward to booking again next year. Anyone staying here would have a great time whatever the weather. Great location for all attractions in stunning Norfolk. Would definitely recommend! 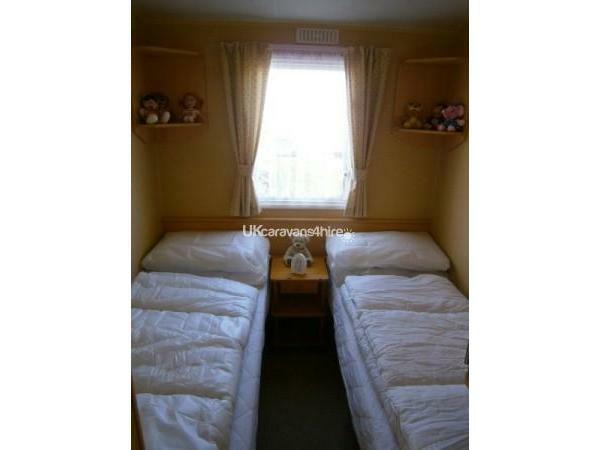 This is the best caravan we have ever had the pleasure to stay in. 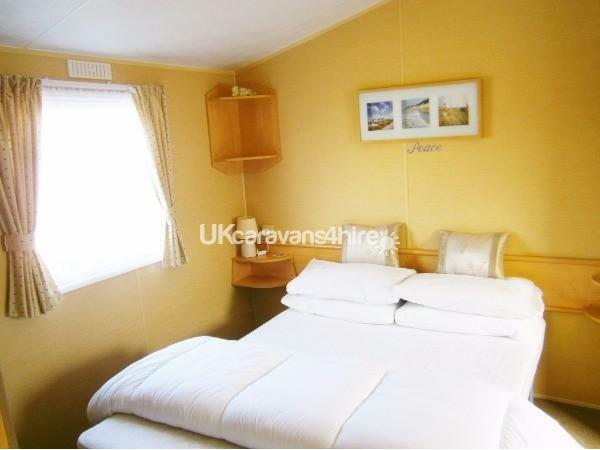 The caravan is modern, comfortable and more importantly very clean and well equipped. Situated close to the beach, it is the ideal spot for a great family holiday. Booking the caravan was straight forward to do, and Vince was most helpful, and replied quickly to any questions that we had. Would love to stay again. The Hulson family. One of best caravan we have stayed in every thing included for your needs,also nice to be met and greeted buy the owner Vince on arrival,John and Jackie. An excellent experience from the enquiry, to booking and the caravan itself. 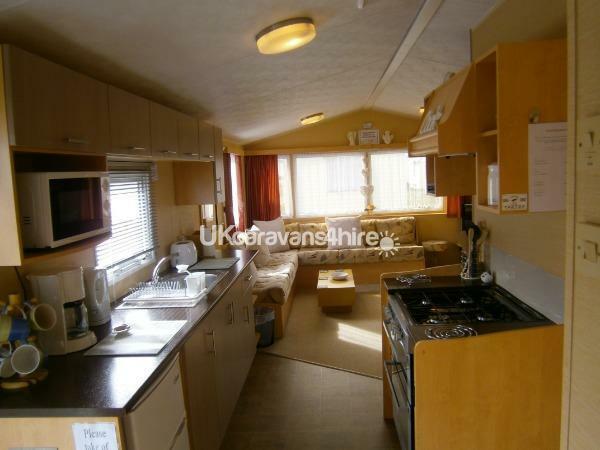 Very helpful owners and a caravan kept to very high standards, extremley clean and lots of added extras to make the stay more comfortable. Would definitley recommend!